Crimean Tatar refugees are the primary concern of churches helped by SGA. 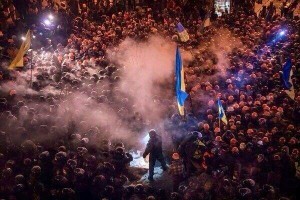 Ukraine (MNN) — Coming out of Easter weekend, tensions remain high in Ukraine. Defiance against Ukraine’s interim government continues, both from pro-Russian activists and Russia itself. But Slavic Gospel Association leader Bob Provost is focusing on a crisis within the broader Ukraine crisis. Thousands of ethnic Tatars fled Crimea when Russia annexed the region in March. Some estimates put the number of refugees at around 20,000. Provost says an SGA-supported church in central Ukraine is hosting a “large number” of Tatar refugees. “They’ve moved the students out and put the refugees into the Bible college dormitory,” he shares. “It’s costing the church about $1,000 a week to feed them, and they’re starting to run out of capacity to do that. But the Tatar refugee crisis isn’t the only thing weighing on leaders’ minds. 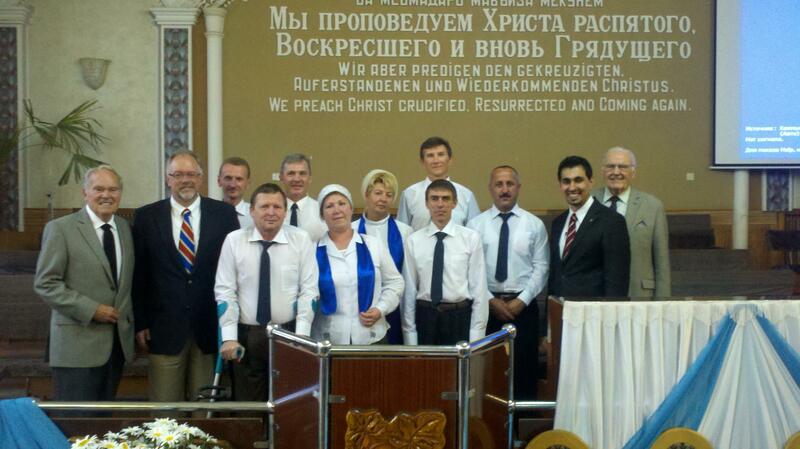 As we shared earlier this week, Russian authorities are dubbing Baptist believers as terrorists. SGA is the North American representative of the Union of Evangelical Christians-Baptists (UECB) in Russia, and Provost says recent events have alarmed their contacts. Around 70% of SGA’s seminary graduates are serving in eastern Ukraine. Please pray for their safety. Russian officials have questioned many Baptist leaders about the interim Ukrainian President, Oleksandr Turchynov. “The fact that he [Turchynov is] known to be an evangelical is causing the authorities in Russia to blame the problems in Ukraine on the evangelicals,” Provost says. New pressure on Jews in activist-controlled cities also has leaders on high alert. 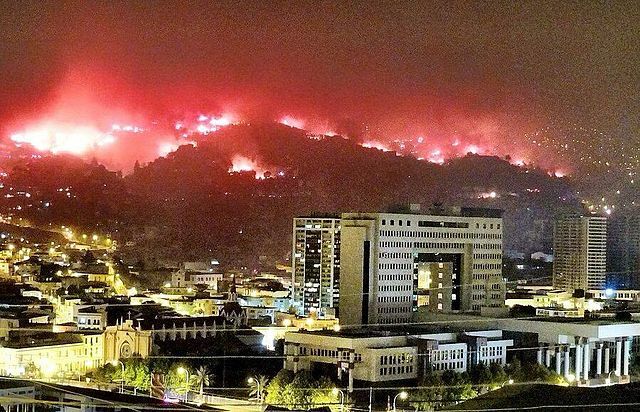 “This came as a total surprise and is causing great concern,” says Provost. In Donetsk, “Armed men on Passover Eve handed out leaflets requiring all the Jewish people to register their religion and their property with the interim pro-Russian government. The flyers’ message is eerily similar to Germany’s 1938 requirement of all Jewish property to be registered with the Reich. That year–1938–marked a significant escalation in the Nazi regime’s persecution of the Jews. The Ukraine crisis is constantly evolving, but one thing is certain: the situation isn’t getting better anytime soon. If you aren’t already on your knees in prayer for Ukraine, Provost suggests some ways you can pray: “Number one, that bloodshed could be avoided. Two: for Ukraine to be maintained as a whole. Three: for protection of unity in the churches. Four: for revival of the economy. Their economy’s in horrible condition,” Provost recites. To help SGA-supported churches in Ukraine care for Tatar refugees, click here and select “Humanitarian Aid” in the drop-down menu. 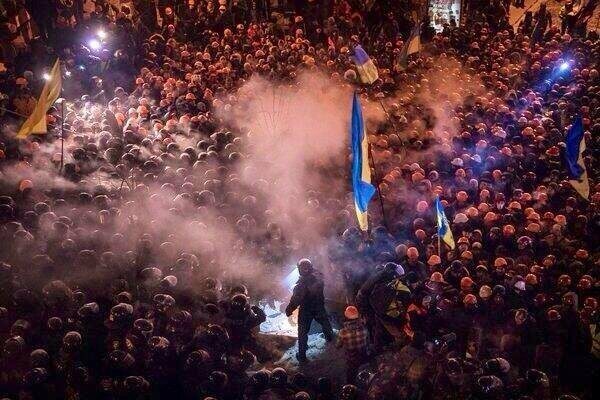 Please keep praying for the situation in Ukraine. Ask the Lord to strengthen and encourage His followers.